There are many internet messaging services out there and sometimes you have no choice but to install more than just one because your friends and family will use different services. Installing multiple messengers becomes a necessity if you want to message different people. The best way to streamline your messaging requirements is by using an internet messaging aggregator service. These are services that provide a way for you to access your different accounts in different messengers with just one application. 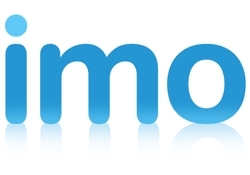 One of the most popular aggregators right now is Imo.im. The app, which was developed by Ralph and Georges Harik, brothers and former Google employees, is gaining traction among internet users who heavily message online. Their growing user base has certainly been helped with the death of Meebo, one of the more popular messaging aggregators online. To strengthen its hold on its userbase, Imo.im has finally added a new feature to iOS version of its messaging app – the ability to make VoIP phone calls. It’s a feature that has been part of the Android version of Imo.im since early this year. The new VoIP calls feature for the iOS Imo.im can be accessed using through all conventional wireless data options, that is, WiFi, 3G and 4G. The new update is compatible with iPhones that run iOS version 3.1 and higher. This is not a complete VoIP solution though. You can only call other people who have Imo.im installed on their device or with users who use third party messaging services like Google Chat or Skype. The company has already stated that it currently has no plans of expanding the coverage of their VoIP call feature to include calls to landlines or mobile phones.